Simple yet stylish, Dualit's 10 Litre Soup Kettle has been designed for safety, ease of use and maximum economy. 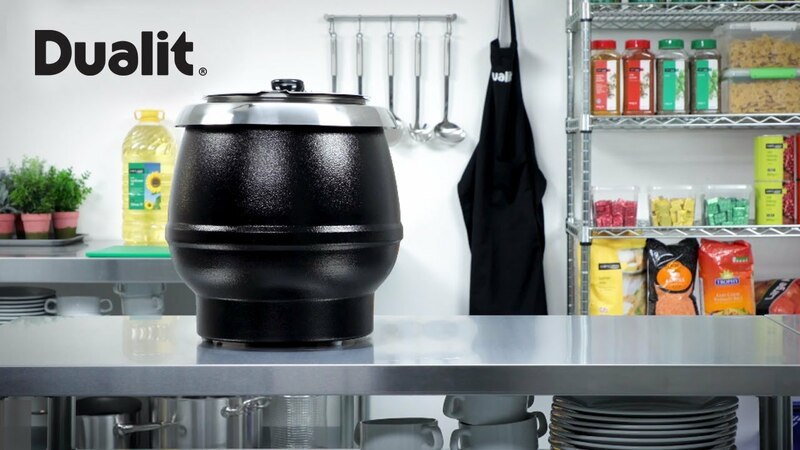 A highly efficient, long-life heating element keeps the contents safely and consistently at serving temprature ready for dishing throughout the day, feeing up space on your ktichen stove. In addition, the heating element is coupled to a separate "overheat" thermostat for maximum safety.